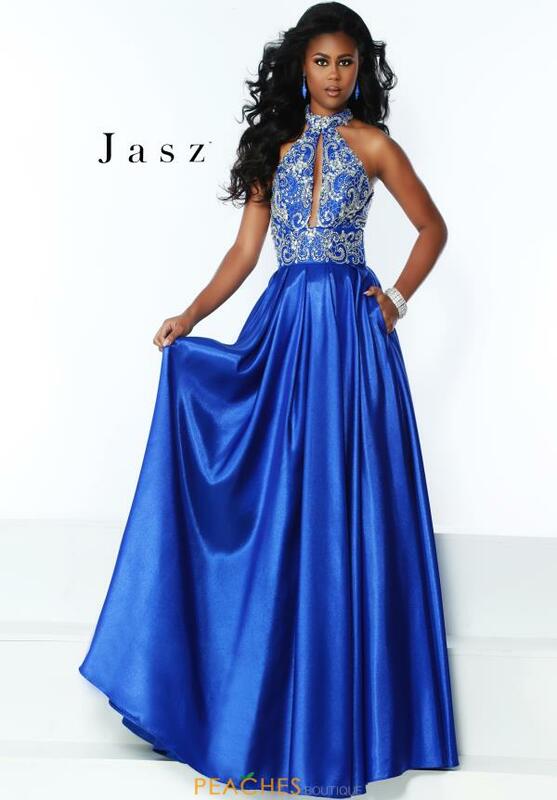 This classy chic prom dress 6516 by Jasz Couture is a fabulous choice for your social occasion. This elegant ensemble showcases a high halter neckline and a line silhouette. Radiant stones adorn the bodice in an intricate pattern for the perfect amount of sparkle. The back of this dress features and open back cut out. For more styles visit Peaches Boutique in Chicago.